The Churchill Downs racing office posted a total of four scratches from Friday and Saturday Breeders' Cup cards. Most notably, Polydream (IRE), morning line favorite for the Mile, is out. Polydream is expected to race on into a 4-year-old campaign. 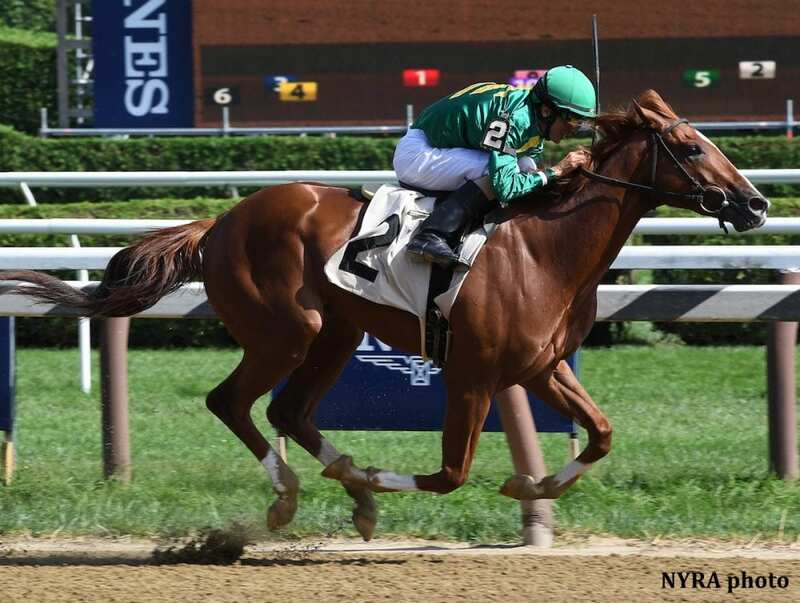 Shug McGaughey's Juvenile contender Code of Honor, who was his sole Breeders' Cup runner this year, is also out after the William S. Farrish homebred spiked a temperature Friday morning. Although he was admittedly disappointed, McGaughey told The Blood-Horse Code of Honor could be back in time for the Remsen in early December, depending on how quickly he recovers. Shang Shang Shang has also been scratched from the Juvenile Turf Sprint. Trainer Wesley Ward told the Daily Racing Form the horse was coming out due to soft turf. Churchill Downs received heavy rains Wednesday afternoon and throughout the day Thursday. Additionally, Awesome Slew has been scratched from the Dirt Mile and Hunt (IRE) has been scratched from the Mile, per the Form's Marty McGee. Toast of New York and Collected did not draw into the Classic, as there were no scratches. Toast of New York will run in the G2 Marathon tonight. This entry was posted in Breeders' Cup, NL List and tagged 2018 breeders' cup, awesome slew, Code of Honor, Freddy Head, hunt, Polydream, shang shang shang by Paulick Report Staff. Bookmark the permalink.